Did you know that Chimera is VERY close to opening our new 3,000sqft facility? Read on to see what's up next for you favorite community makerspace! The city will be doing a rough electrical inspection on our space next week! Our reception desk is finished! We are working to finish up our electrical, painting and interior decoration as well as moving our supplies over to the new space. We will be having a lot of public shop work days leading up to our opening, checkout our Meetup.com page for more info and lend a hand! Stay tuned for our opening date and open house event! Our new facility will have all the features we currently have (electronics lab, 3D printing, laser cutter, CNC mills, jewelry studio, workspace, hand tools, wifi, kitchenette) and a whole lot more room for events, classes and meetups. We will be phasing in more features (like wood/metalworking tools) over time. Our custom made reclaimed wood and steel tables fabricated by Chimera members, getting a test run and ready for finishing. Our new reception desk at night which has an RGB LED surround that is controllable. Built by Chimera members. 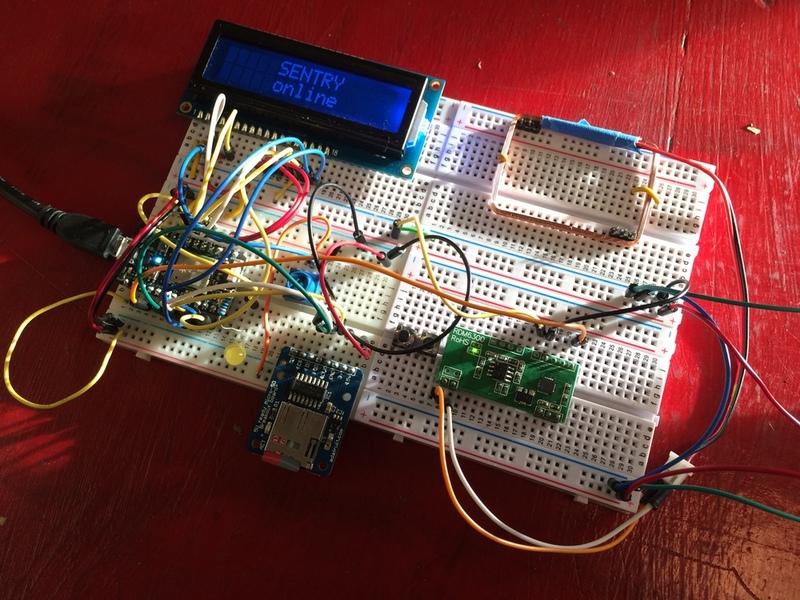 The first version of our new and improved door lock RFID system featuring wifi connectivity, offline mode and helpful messages. Tear out complete in preparation for our full size kitchenette! 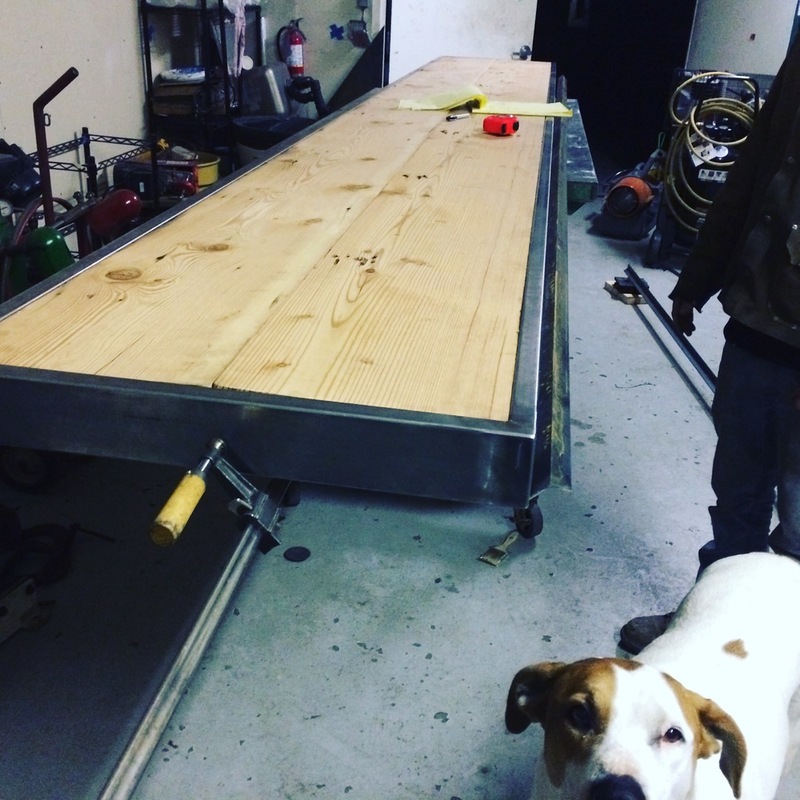 Steel and reclaimed wood coworking counter getting the finishing touches (and Jib the shop dog)! That's it for this update! As always, you can get involved on our Facebook group, Meetup.com page or Instagram. Till then!